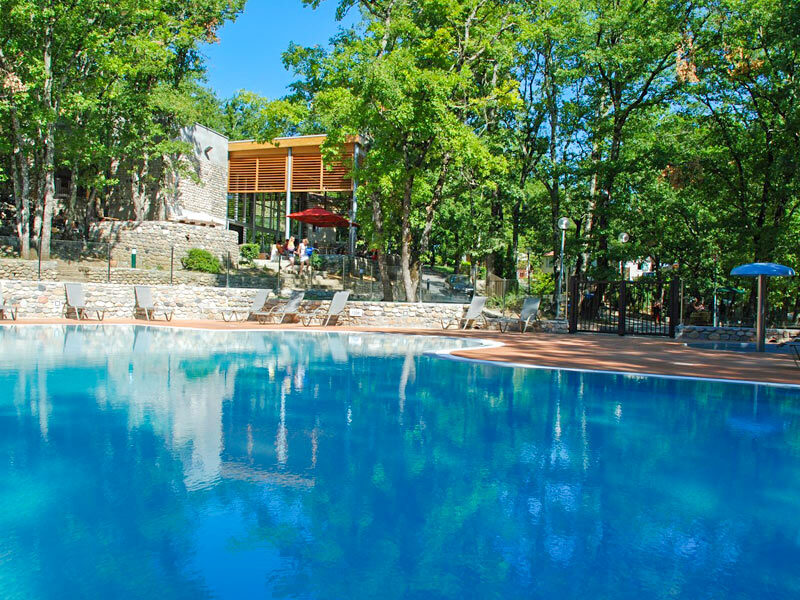 The online reservations for the summer 2019 are open! 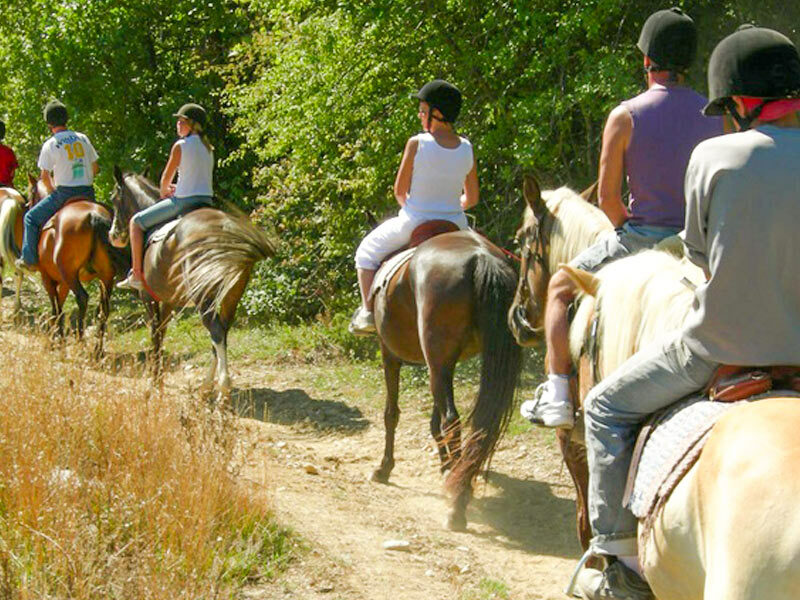 Discover the Domaine des Blachas! 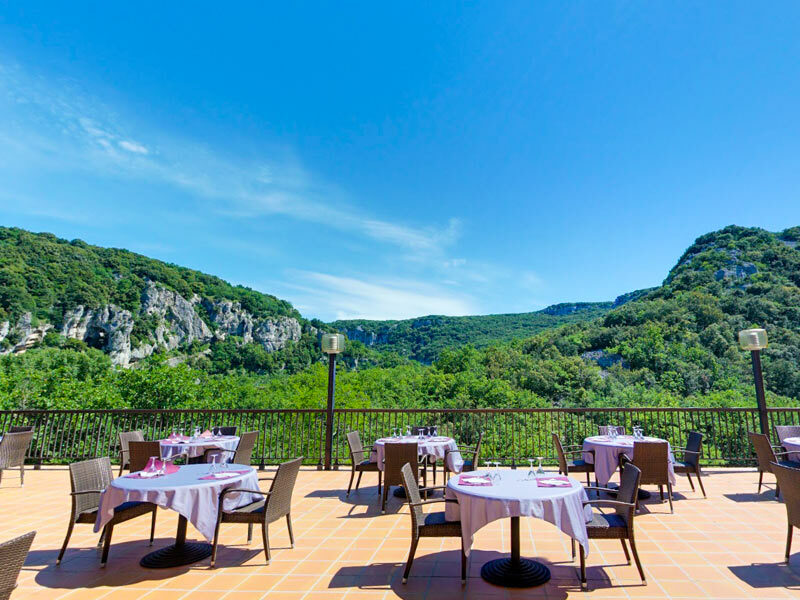 For you 4 stars stay with family or friend, Domaine des Blachas welcomes you in the heart of the Ardèche in the county of Salavas, two steps away from Vallon Pont d'Arc. 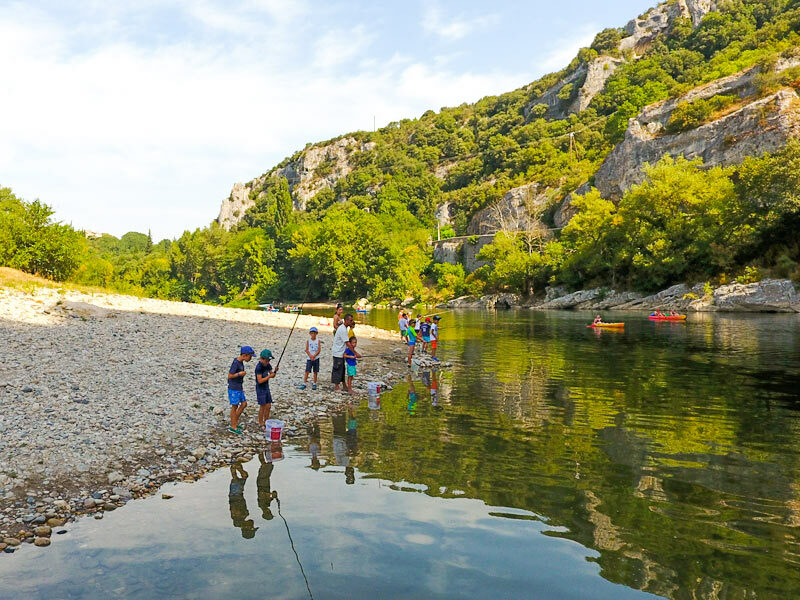 By the river in a breath-taking universe in the classified site of Pont d’Arc, the Domaine des Blachas proposes you a completely different site in a friendly and dynamic environment for sportive, playful and relaxing holidays. Divide on a property of 15 hectares of trees, in the heart of preserved nature, the Domaine des Blachas proposes to everyone an environment favourable to relaxation and discoveries. 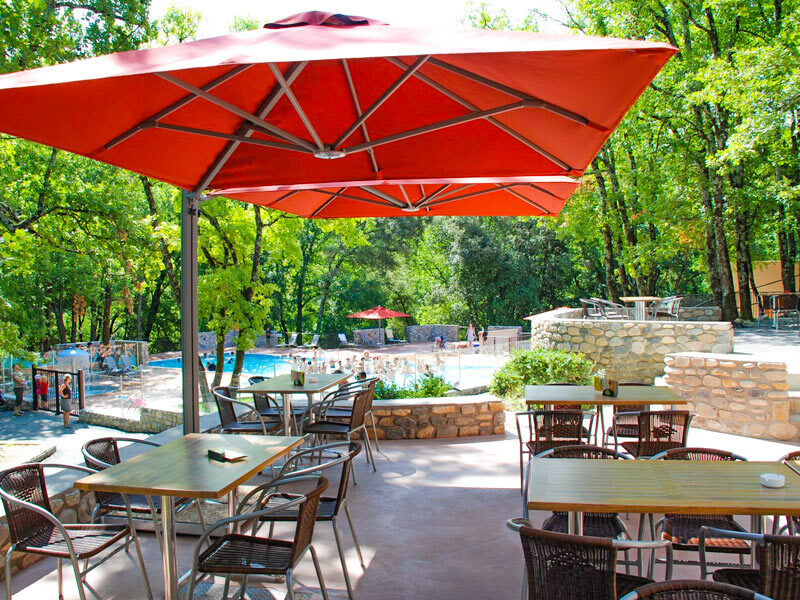 Nestled on a side of a mountain of oaks trees, you can enjoy the song of the cicadas, a swim in the river, or one of the many archaeological sites that are in the region. 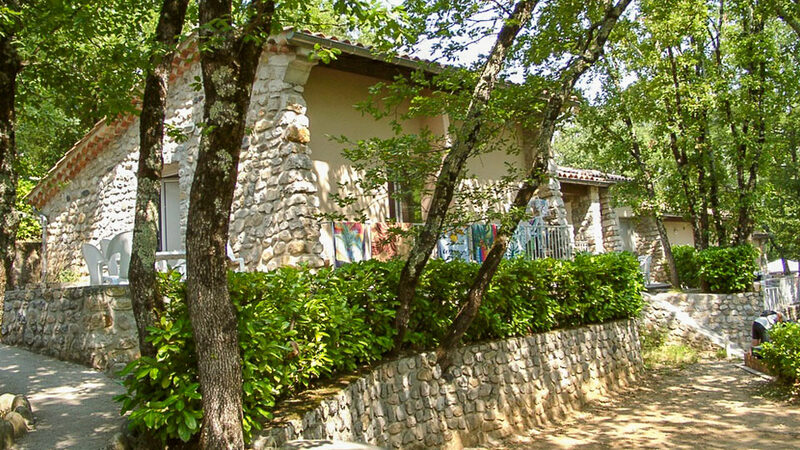 To enjoy your holidays in the Ardèche, in a place without constraint, the Domaine des Blachas proposes several types of accommodations combining comfort and modernity. The pavilions, studios, mobile-homes and pitches are mixed through the Domain with great respect for the trees, some of them centenarian, for a favourable place to many sweet memories. The pavilions between 25m2 and 40m2 can shelter 2 to 6 persons, with a bedroom, Livingroom with television, kitchen, bathroom and private terrace, for holidays that make you feel at home. 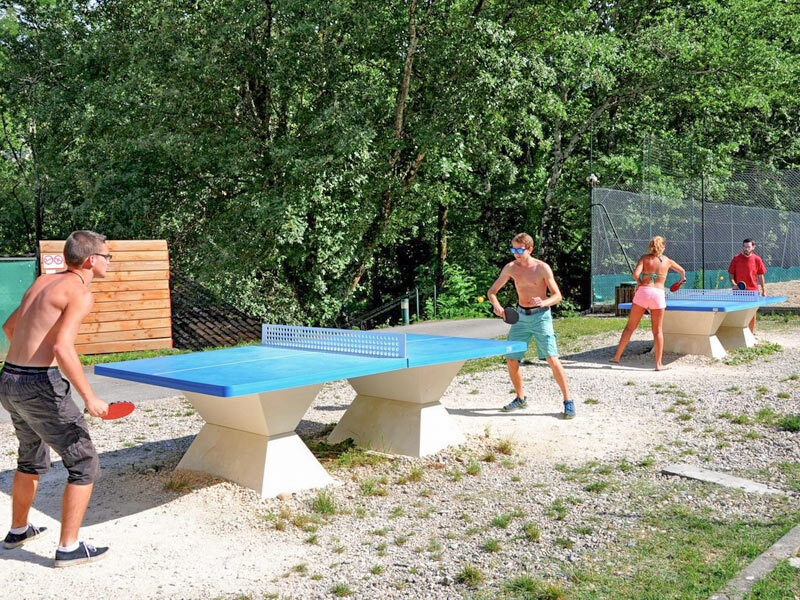 Thanks to the electric heating and the kitchen, the pavilions are perfect for holidays in low-season for sport groups. 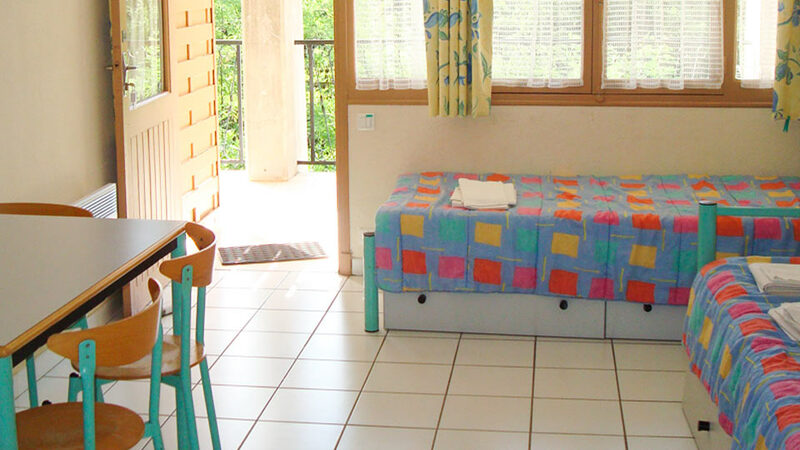 The studios can shelter 2 to 3 persons, with its Livingroom with two single beds and television, kitchen, bathroom and shared terrace, it will delight the lovers of nature and comfort. Friendly and practical with their living space, the studios will be perfect for couples and young parenting. 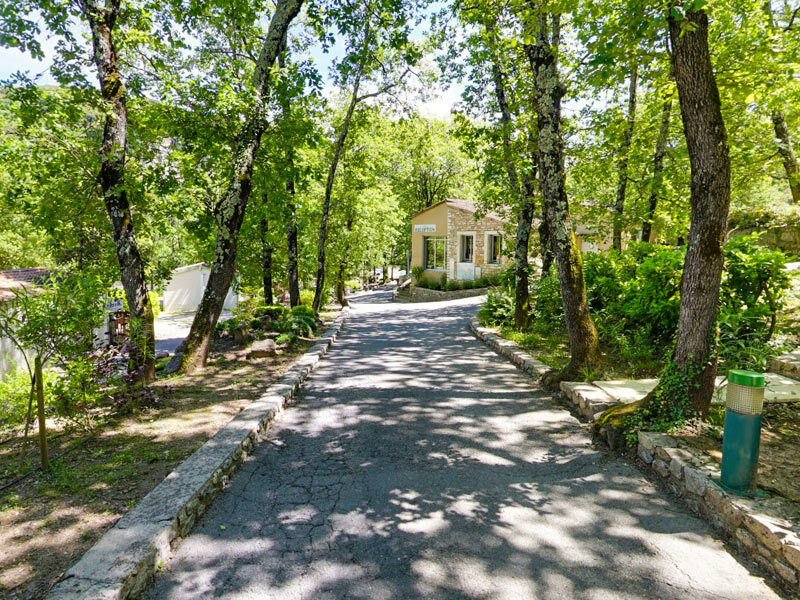 The mobile-homes can shelter 2 to 6 persons, with 2 bedrooms, a Livingroom with television, kitchen, bathroom, separate toilets and a private terrace for comfortable holidays under the trees. 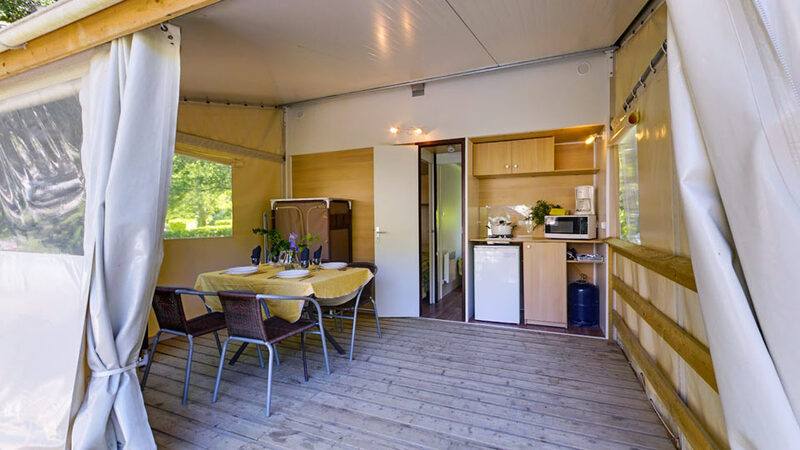 It’s the Star of the campsite, the mobile-home allows you to merge into nature without giving up your comfort. Somewhere between a mobile-home and a tent, the Tithomes can shelter 2 to 4 persons, with 2 bedrooms and a half-covered terrace with kitchen, to camp without noticing. With the cooking table on the terrace, the Tithomes offers you a perfect compromise between comfort and outdoor live. The pitches are for caravans, family tents and other tents, all with electricity, a nearby water tap and toilet blocks. To travel light, enjoy the gas barbecues, fridges and garden furniture for rent at the Domain. 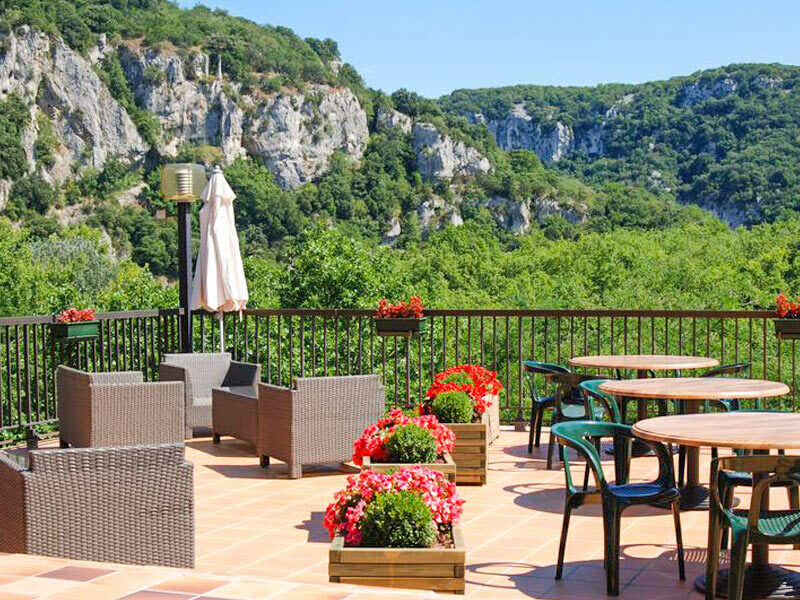 Book your next holidays at Vallon Pont d’Arc! Click here to access our online booking form! Swimming pool, bar and restaurant! 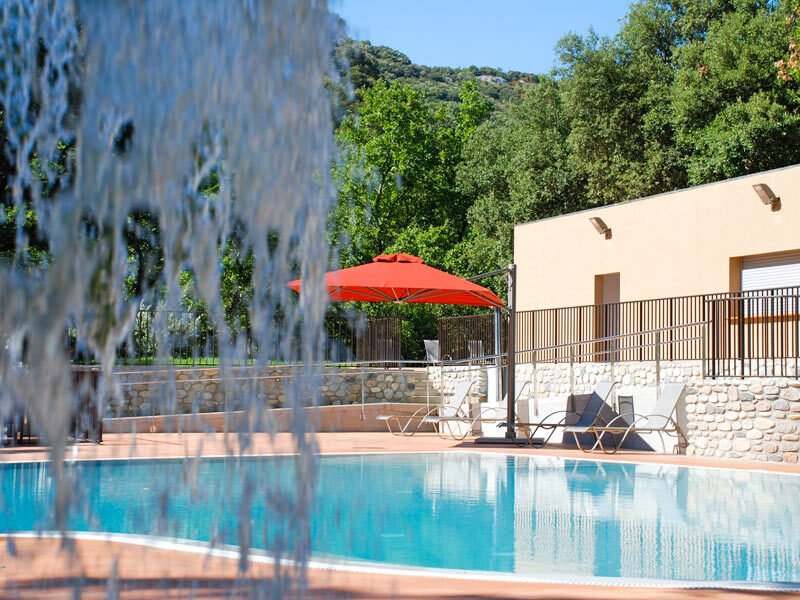 The Domaine des Blachas offers you many services for the small and the big ones: heated swimming pool with beach with deck chairs, paddling for the children, jacuzzi, but also a bar for refreshing drinks and a snack/pizzeria for the small appetite. In addition, our restaurant offers delicious meals on the panoramic terrace with a magnificent landscape view. Activities & animations to share! 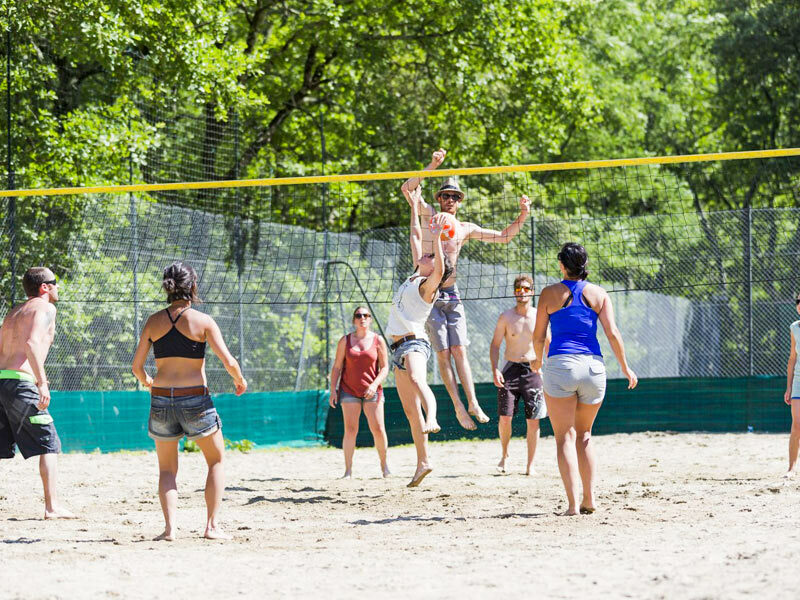 At the Domaine des Blachas, you can enjoy many free facilities: playground, tennis court, volleyball, basketball, ping pong table, petanque field, or participate to one of the many tournaments, competitions and animations that will be organised daily for adults and children. And if that’s not enough, our team can guide you to the many activities you can practice in the nearby area. 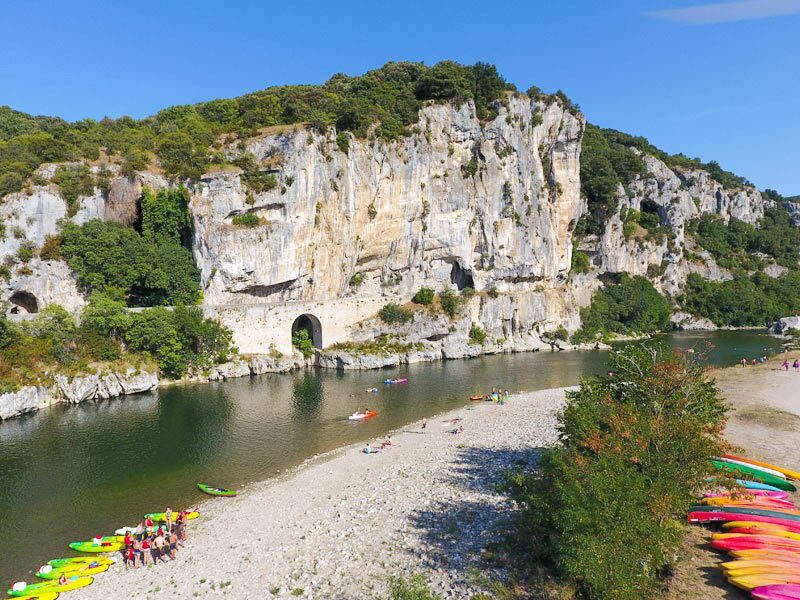 Between mountains and cliffs, gorges and caves, natural beaches of stones or sand… the Domaine des Blachas will be your starting point to many trips like to the Caverne du Pont d'Arc, a real global jewel. 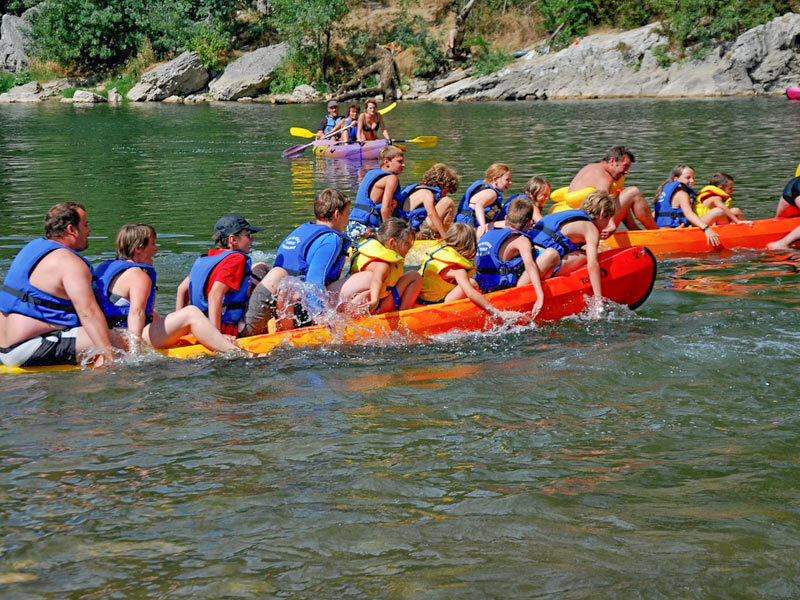 For the fans of sensations and sportive activities, the Ardèche will be the perfect playground with canoe trips on the river or mountain bike spots. We spent a week with the family at campsite des Blachas. 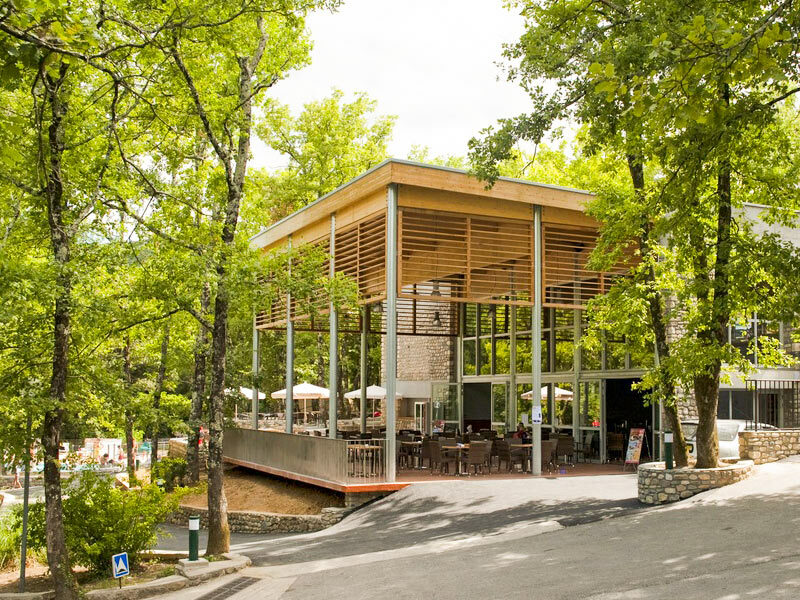 A piece of paradise at the river with sensational activities: canoe, hiking, via ferrata, swimming pool, animations and snacks, mountain bike circuit. Family campsite, quiet and relaxing where we had great moments. We came with a group of 24 persons staying in mobile-homes. We had a warm welcome; the staff was very helpful during our stay. The accommodations were clean and offers comfort. Idyllic place at the river. Close your eyes… and open them wide when you get there. 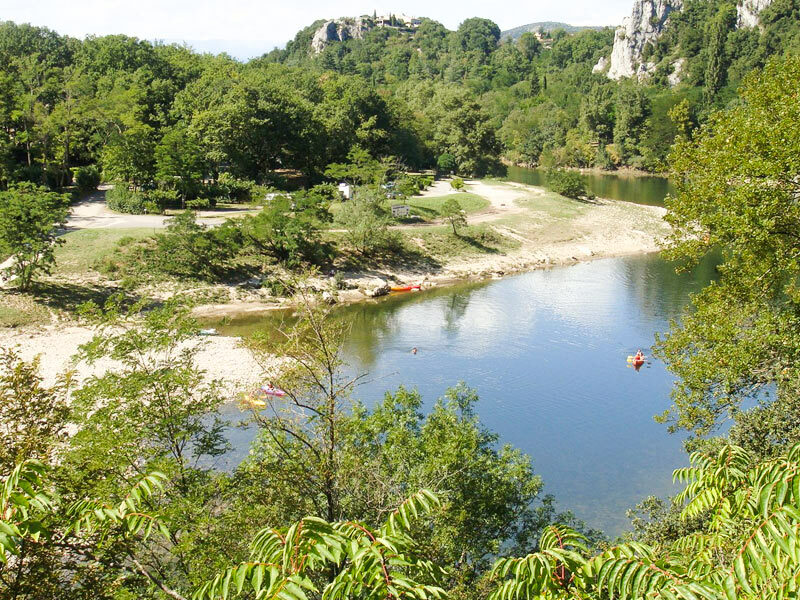 A magnificent place at the Ardèche river in a natural park. Cherished holiday-makers with a panoramic restaurant, pastries delivered in the morning. Family. 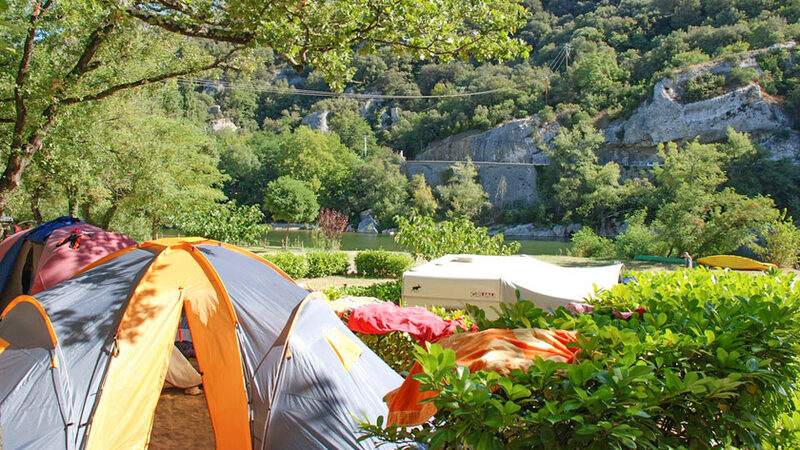 All you need to relax and enjoy in the heart of the Ardèche, nearby the Pont d'Arc. 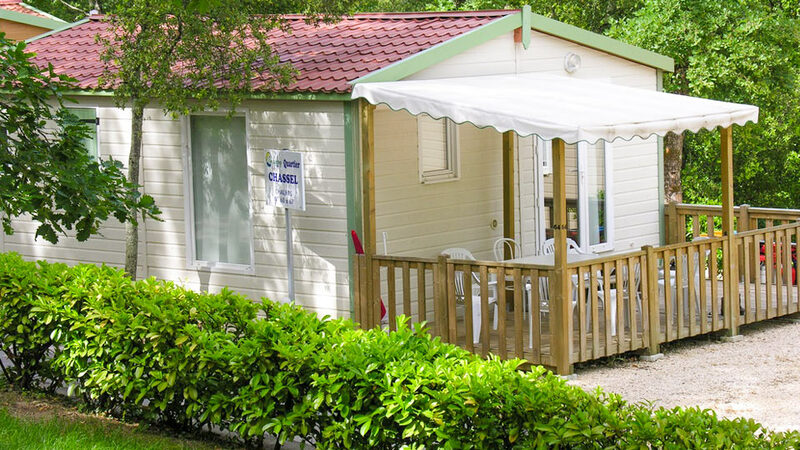 The Domaine des Blachas is registered "Jeunesse et Sport", and some parts of the campsite are registered by the “Education Nationale”. Thanks to our capacity of and our knowledge of collective organisation (accommodations, meeting room, village hall, catering, leisure), we can offer a personal touch to groups and event management to associate professional framework and relaxation. Give your colleagues and partners an exceptional environment, favourable to work and relaxation. Strengthen the cohesion of your team in an exceptional natural environment: a complete change of scenery and friendliness guaranteed! Do not hesitate to contact us to answer your questions! 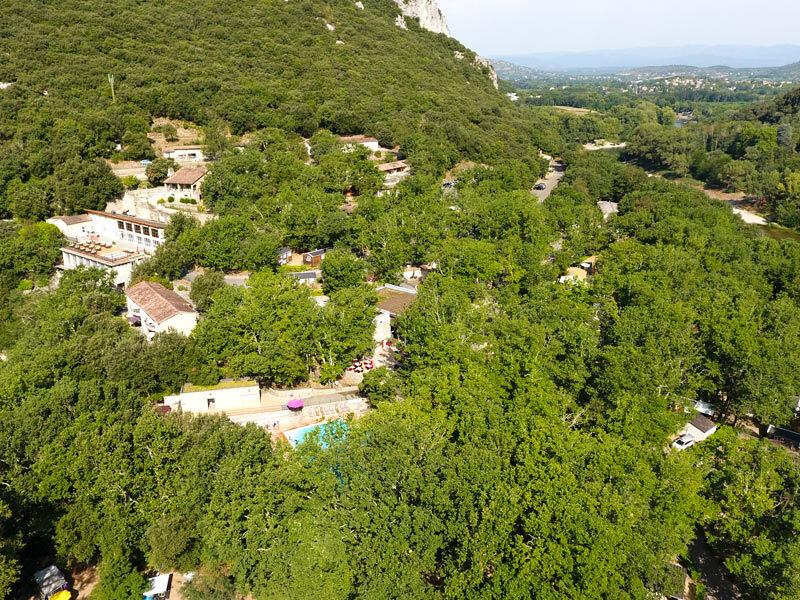 The team of Domaine des Blachas is at your service for all your needs for accommodations and services, to help you through the reservation, but also to inform you about the many activities that you can practice during your visit to our region.